Why would I need self storage in Norco, CA? There are a variety of reasons why you might need self-storage in Norco, CA. How much is a storage unit in Norco, CA? The cheapest storage unit in Norco, CA is $64.00 per month. What size storage units do you have available in Norco, CA? In Norco, CA we have sizes that range from 5'x5' to 10'x20' to suit your storage needs. How much is it for a 5'x5' storage unit in Norco, CA? The cheapest 5'x5' storage unit in Norco, CA is $64.00 per month. Norco, California, is one of the few cities where you'll still find horses as a valid and common mode of transportation. The city offers nearly 100 miles of horse trails, as well as horse trails instead of sidewalks in most areas. Many businesses in town include small corrals and hitching posts where you can leave your horse while you shop or dine. Nicknamed "Horse City USA," Norco has a distinctly Western feel and a low population density, which means you'll have plenty of open space to enjoy. Originally, the city was part of the land grant that Vicenta Sepulveda received, part of a large ranch until the early 1900s. In 1908, the land was purchased and divided into town and farm lots. However, much of the area remained agricultural fields until the 1920s. Businessman Rex Clark purchased a large chunk of land from developer Citrus Belt Land Co., and set about creating his dream community. The goal was to develop a rural retreat ideal for farmers, families and people looking for an escape from big-city living. He developed residential, commercial and industrial districts, holding the town's official grand opening in 1923. It was incorporated in 1968 and continued to grow and develop into the thriving community it is today. Norco is a quiet, family-friendly community offering local amenities like parks, shopping and dining. The city's parks and recreation department provides a variety of classes and programs for both children and adults, as well as several sports fields. Despite its small size, Norco hosts a large number of community parks. Ingalls Park is one of the most popular in the city, with a large equestrian facility and other gathering spaces. At Ingalls Park, you can take a number of equestrian classes, compete in a number of events and attend the annual rodeo and Norco Horseweek. 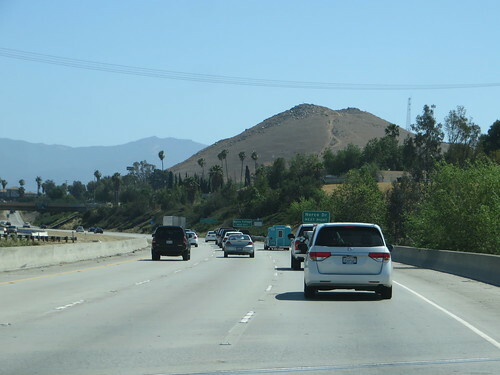 The local job market in Norco is fairly small, with many people commuting to the nearby cities of Riverside and Corona for work. However, if you're hoping to find a job within city limits, you may have luck at the city's largest employers: the Corona-Norco Unified School District, the California Rehabilitation Center and the Naval Surface Warfare Center. The Corona-Norco Unified School District manages the public schools in Norco. There are also a few private schools in Norco, with most of the campuses being faith-based. Utilities: Southern California Edison is the city's main electricity provider. The City of Norco manages public water and sewer services. Garbage and Recycling: You can expect weekly collection of trash and recyclables in most areas of Norco. Transportation: A network of local bus routes offers transportation in and around Norco, facilitated by the Riverside Transit Agency. Pets: All dogs must be licensed with the city of Norco. You have 30 days from your arrival date to complete the licensing process. Home prices in Norco are on the rise and expected to continue increasing in the near future. Although Norco is a self-described rural community, you won't find just farms and ranches here; there are plenty of single-family home communities. Amenities like private pools, neighborhood parks and large lots are all options in Norco. The median home price is fairly even with the California state average, which is much higher than averages in other U.S. states. Our lowest priced units in Norco, CA average $64.00 per month. 36 people have reserved units in Norco, CA in the past 30 days. There is 1 location within Norco, CA's city limits.